I am Woman ! See me Travel! 2019: April: Come Sail With Me! 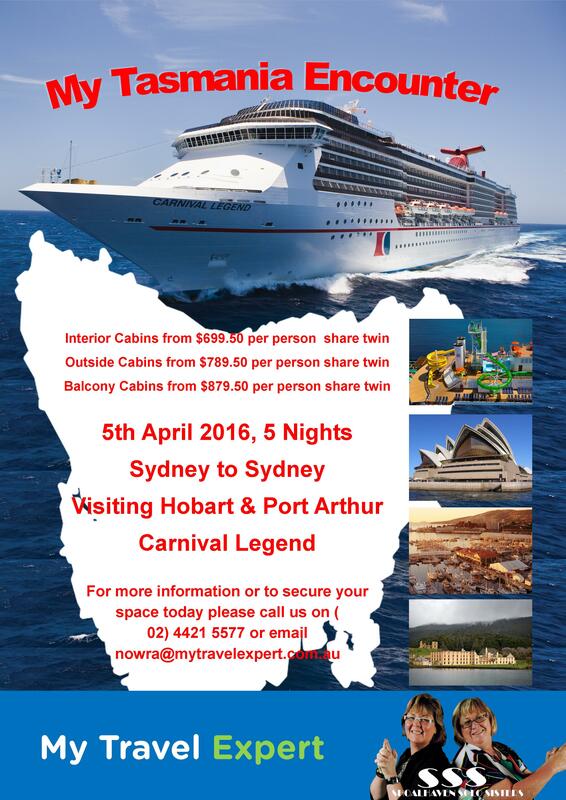 5th April 2016: Cruise Departs from Sydney (Circular Quay) at approximatly 1830 – Tasmania Bound. 10th April 2016: Arrival back into Sydney where we disembark and the cruise ends. Hi, please put my name down for this Tasmania Cruise.. I don’t mind sharing with someone, but would prefer to meet them beforehand if it can be arranged. Armchair Travel Club – A New Way To Be Inspired! Celebrity Escape – Last Chance To Book!